A small collection of Ian's Ride in the media. 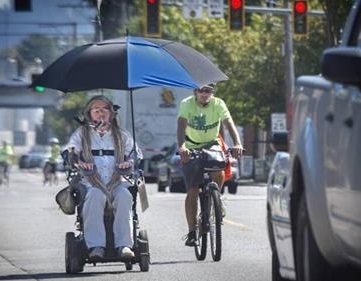 PORT ANGELES, Wash. – A man who gained international attention when he rode his wheelchair from Port Angeles to Portland in 2016 is preparing for a 13-day journey that will take him through the heat of eastern Washington and across the North Cascades. 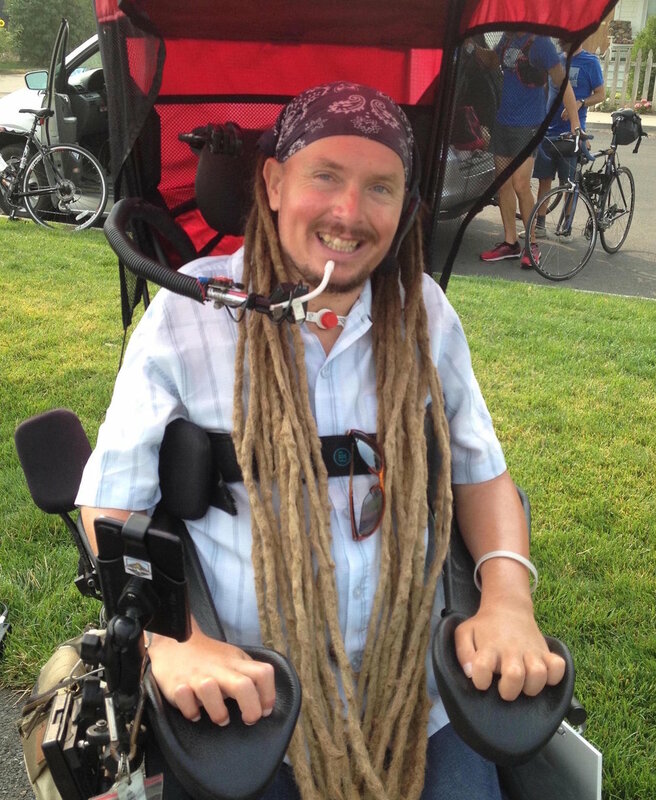 Ian Mackay, who has been paralyzed from the neck down since a bike accident about 10 years ago, plans to ride his wheelchair from Coeur d’Alene to his home in Agnew, Washington, to highlight the need for wheelchair-accessible trails in Washington. SPOKANE, Wash. - From Coeur d'Alene to the Cascades, one Washington man is going the distance to prove that everyone should be able to access the outdoors. A Port Angeles, Washington man who is advocating for more and safer open-road options for disabled travelers has begun a cross-state journey. 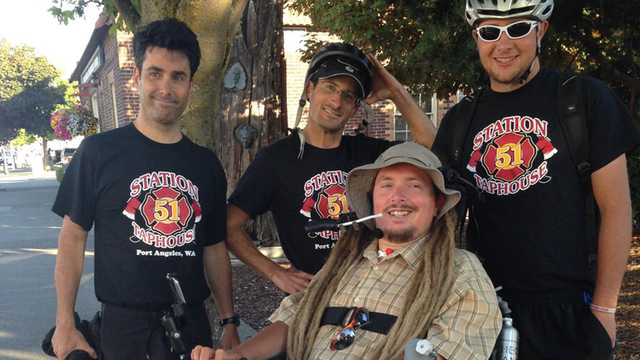 Ian Mackay began his trip in his motorized wheelchair in Coeur d’Alene, Idaho on Sunday. He traveled the Centennial Trail to Spokane and then left for Davenport this morning [Monday]. Ian Mackay was 26 years old when a bicycle accident left him with a life-changing spinal cord injury. 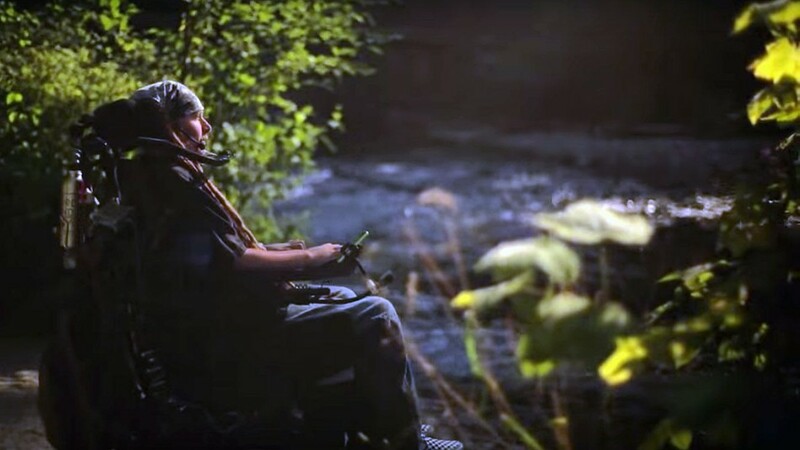 Ten years and nearly 10,000 wheelchair miles later, Mackay is charging ahead with life as a quadriplegic, pursuing his love of the outdoors and using technology to assist along the way. 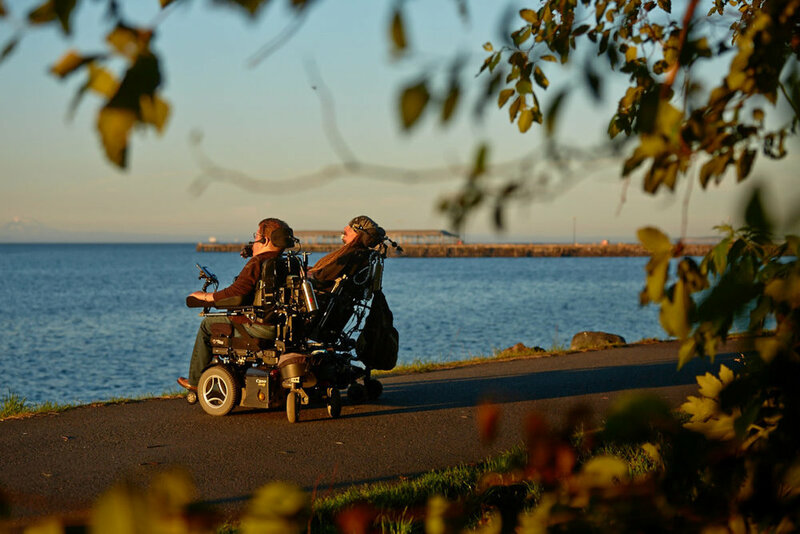 Two years ago, Ian Mackay rode his electric wheelchair from Port Angeles, through Seattle and Pierce County and to Portland to raise awareness for the need for accessibility in the outdoors. This year, he’s got a bigger mountain to climb — the North Cascades Highway. 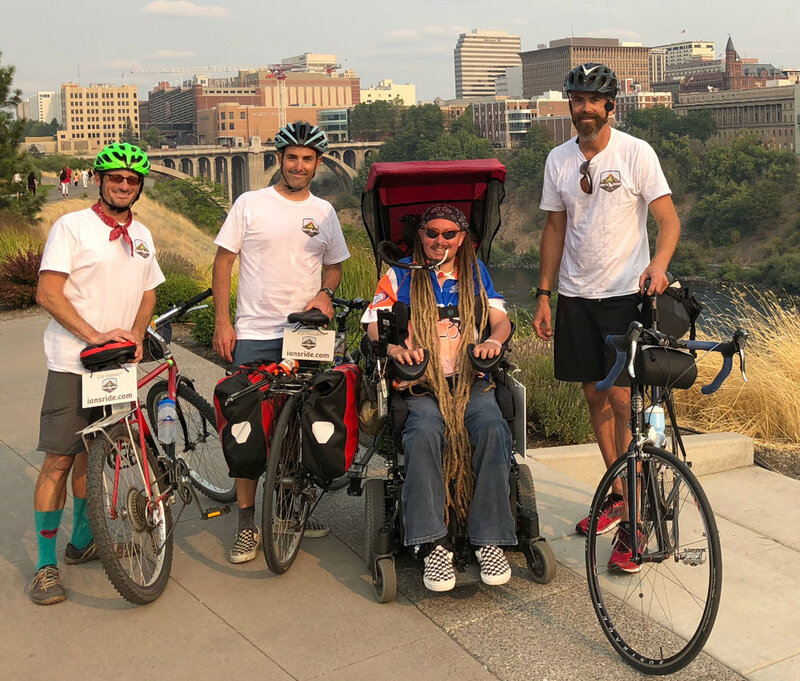 An Agnew man who gained international attention when he rode his wheelchair from Port Angeles to Portland, Ore., in 2016 is preparing for a 13-day journey that will take him through the heat of Eastern Washington and across the North Cascades. Eight years ago, Ian Mackay was on a routine bike ride back from class at the University of California, Santa Cruz, when his entire life changed. 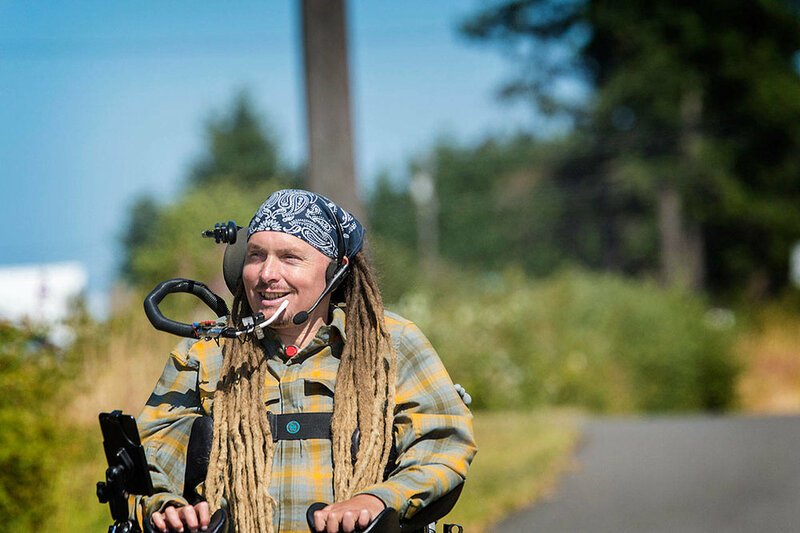 A disabled man is rolling his way through Washington in a power wheelchair to bring awareness to the need for more accessible trails and bike paths. Ian Mackay embarked on the first part of his 10-day journey Saturday. He plans to travel more than 300 miles. The route will span the entire state and use multi-use paths, trails and roadways. The trip will begin in the San Juan Islands, move down into Seattle and end in Portland. Ian Mackay considers himself a cyclist and a birder a nature buff who gets lost on lush trails near his Washington state home for hours every day. But if popular opinion had its way, many people wouldn't expect Mackay to be able to pursue this passion. They may even assume he couldn't truly enjoy the outdoors independently. A quadriplegic Agnew man will soon set off in his motorized wheelchair on a journey across the state to bring attention to the need for pathways accessible to disabled people, he said. “This year, I am setting aside two weeks to go across the state of Washington,” Ian MacKay, 34, said recently at his home in Agnew where he has lived with his mother and stepfather for the last eight years.